Welcome! Thanks for visiting the site! Since 2010, I have been beyond grateful to serve as your Wake County Soil and Water Conservation District Supervisor, and I am thankful for your help in making this possible. I was elected Vice-Chairman of the Board earlier in my last term and vigorously took on a greater scope of responsibilities as a member of the District's leadership. I have been working with our Chair, fellow Supervisors, and staff to enhance engagement of landowners and farmers in our conservation programs, to raise awareness of our environmental education work in our schools, and to increase the effectiveness of our working relationships with other local Districts and state-level staff in order to better serve agricultural and water quality needs here at home. We've done so much, but conservation needs a champion throughout our great state. That's why I'm excited to share with you that I'm taking the next step to serve ALL of our communities from Murphy to Manteo by announcing my candidacy for Commissioner of Agriculture. Over the next month, a lot will change on this site and I hope you'll join our journey to bring effective and lasting leadership in agriculture and conservation to all of North Carolina. 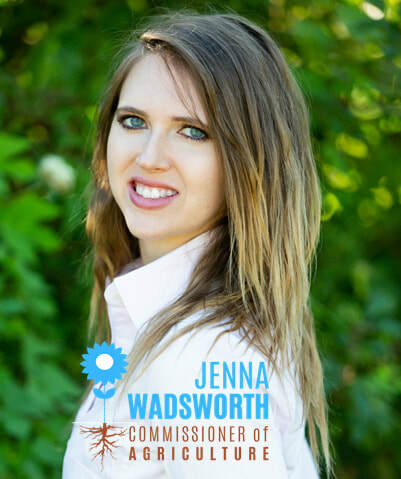 You can connect with us through email, Facebook, and Twitter so you never miss an opportunity to volunteer, to learn more about my vision for our state's future, to plan to attend campaign events, or to hear about what is happening in conservation throughout North Carolina. I hope you'll take a moment to join our team. Then you can join the conversation and assist in our mission to make North Carolina a place that we're all proud to call home. Thank you for your support and your friendship! Join the campaign today and become a part of our movement for a new North Carolina. Share a little more about yourself and let us know what we can do to work together to better conservation or equality or whatever it is your heart desires.